Can I try Toothcrush before signing up for a subscription? We've made it completely risk-free to try Toothcrush. We offer a full, no-questions-asked, money-back guarentee on every Toothcrush Subscription. If you receive your first subscription pack, decide that Toothcrush isn't for you, and cancel your subscription within your first month, we'll refund 100% of your purchase price. If you're in your first month and you'd like to cancel, just email us at hello@toothcrush.com and we'll take care of that for you. When will my first Toothcrush delivery arrive? Our brushes are sent monthly at the beginning of each month. Your first brush will be sent at the beginning of the month after you subscribe, and will then arrive every month (for monthly subscriptions) or other month (for bi-monthly subscriptions). All brushes are sent via New Zealand Post and should arrive in the first week of the month. No - to keep the price of our subscriptions low we use standard, untracked mail. If your brush is lost in transit we will happily provide a replacement free of charge. How will we tell our brushes apart? Each Toothcrush delivery contains brushes of different coloured bristles, so you can always tell whose Toothcrush brush is whose. The same goes for kids' brushes - they'll always be different too. Does a bamboo toothbrush feel different? Yes, it does feel a little different to the plastic you've been putting in your mouth your whole life. But it doesn't take much getting used to at all, and it's a much nicer thing to be staring at in the bathroom mirror! No. Well at least, not yet. We may offer this in future, but for the time being we'll send you different coloured bristles each month. Can I get a medium or hard bristle? Can I buy Toothcrush as a gift for someone? Not right now, but we're working on gifting. Stand by! Every month? Is it really necessary to replace my toothbrush that often? Any toothbrush will wear down, fill up with bacteria, and generally become less effective over time. Dentists recommend against going more than 3 months without changing your brush, but they'll also tell you that a shiny new toothbrush is the best thing for your teeth (not to mention the nicest to use). 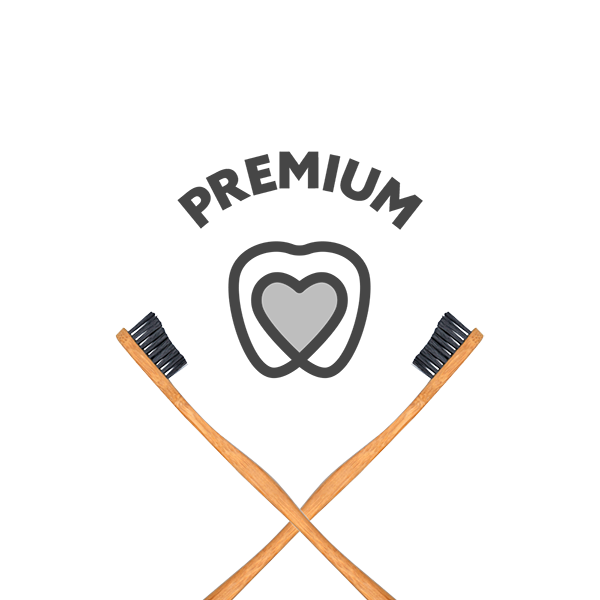 Toothcrush is all about both the performance of your toothbrush, and the enjoyment of using a fresh one each month. 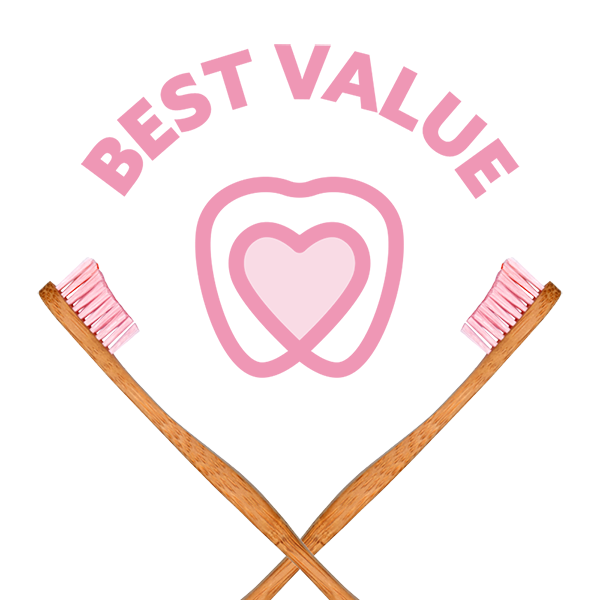 Even better, the environmental impact of 12 Toothcrush brushes is far less than that of 4 standard plastic toothbrushes. If you'd still rather not replace your toothbrush that often, you can subscribe bi-monthly to get a new brush every two months. Is this really more environmentally friendly than buying 4 plastic toothbrushes from the supermarket? Yes! Toothcrush subscribers create much less environmentally-unfriendly waste, and their deliveries produce less CO2 in the environment than the average car trip down the road to the supermarket. A standard plastic supermarket toothbrush weights about 18 grams and comes in about 7 grams of plastic and laminated card packaging. No part of the brush nor any of the packaging is recyclable, meaning you create about 100 grams of unsustainable waste each year if you change your brush with the seasons. A Toothcrush brush weighs 11 grams and comes in a mailing box that weighs 24 grams and a hygienic wrap that weighs 0.65 grams. The wrap is made from PLA, a plant-based plastic alternative that is 100% compostable. The box is made from plain, uncoated brown cardboard that is 100% recyclable. The brush handle is made from bamboo – completely compostable and one of the world’s most renewable resources. The only part of Toothcrush that can’t be recycled or composted is the bristles. They’re made from nylon (which is our least-favourite part of our product, but which right now is the only material available anywhere in the world that meets dental standards). But… the bristles on each brush weigh less than half a gram. So - you create just 5.5 grams of unsustainable waste each year if you have Toothcrush delivered each month. We use the regular post service, not couriers, and so the total CO2 produced by each delivery from factory to letterbox is around 195 grams – less than a single 1km journey in an average car. No. We've chosen to use nylon bristles as they are proven to effectively clean teeth, and are approved by dentists. Biodegradable bristles made from animal hair are available, but are ineffective, hence they're rarely used. However, we are exploring developing our own compostible bristle material which would be a world-first in toothbrushes - watch this space! But hang on - doesn't that mean it's not really environmentally friendly? 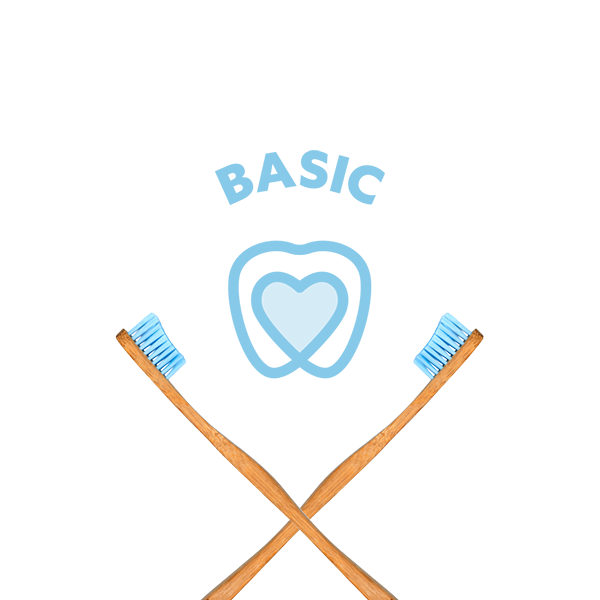 99% of the Toothcrush brush is made of biodegradable bamboo. You can dispose of your Toothcrush brush in two ways. Either throw it in your rubbish and know you're not contributing to the further production of plastic, or remove the bristles with a pair of pliers, discard them into your rubbish, and compost the bamboo handle. Yes - our packaging and postage material is all 100% biodegradable, compostable and recyclable cardboard. Each brush comes in a sanitary sleeve made from PLA, a 100% biodegradable plastic alternative made entirely from plant material. The PLA we used has been tested and certified compostable. Is a Toothcrush brush recyclable? In a sense, yes - bamboo is biodegradable, and so you can recycle the Toothcrush handle through nature's own recycling program by putting it in your compost or burying it in the ground - just pull the bristles out with pliers and discard them first. But no, you can't put Toothcrush (or any other bamboo or wooden product) in your recycling bin. Why are your brushes made in China? We work with a specialist toothbrush manufacturer in China who is close to a sustainable bamboo source, and who are set up to make toothbrushes in a cost-effective way. Manufacturing our brushes outside of China would mean Toothcrush would have to be many times the price. My brush hasn't arrived - what do I do? Our deliveries make it to our subscribers 99% of the time - but every now and then one goes astray. Please note that all Toothcrush deliveries are made by NZ Post posties (not by couriers) and so check your letterboxes on the days that you're due deliveries. If your brush is more than 10 days overdue, please email us at hello@toothcrush.com and we'll help you track it down. That's easy. Click 'login' at the top right of this page. Sign in with your account details to go to your account page, and once you're there, click the 'Manage My Subscription' link at the top of the page. On the next page, under 'My Subscription' you'll see your address - click the 'Edit' link next to your address, edit your address, and then click the 'Save' link at the bottom of that page. You're done, and all future deliveries will go to your new address. Please note - if you change your address after we've dispatched your brush for the month, that brush will go to your previous address and all future brushes will be sent to your new address. On the next page, underneath your name, click the 'Manage my billing information' link. Then click the 'Update card' link on the right hand side of the next page. Enter your new credit card details on this page and click 'save'. You're done, and all future charges will be billed to this card. Do you have a question that you can't find an answer for here? Contact us at hello@toothcrush.co.nz anytime.